The Apple iPhone 6 Plus is now official. It's has a 5.5" LCD IPS display with Retina HD resolution (1920 x 1080 pixels). The pixel density is 400 ppi and iOS 8 has been tweaked in many ways. 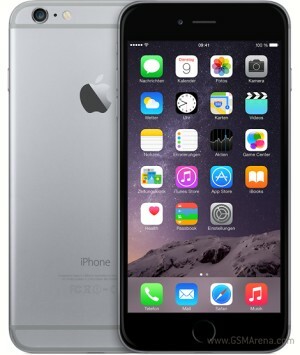 The backside of the iPhone 6 Plus is made of anodized aluminum and it has a stainless steel frame.